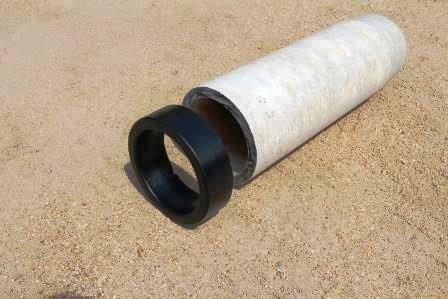 Snap-Sert for Asbestos Cement Pipe (ACP) Made from NSF-61 approved Acrylonitrile Butadiene Styrene (ABS) plastic, the Snap-Sert is a protective ring used to encapsulate the exposed cut end of Asbestos Cement Pipe (ACP) during repair. A Snap-Sert is used for three reasons. The primary reason is to reduce workers’ exposure to friable asbestos during the pipe repair process as identified in OSHA regulation 1926.1101 (g) (5) (ii) (B) (6). Secondly, the Snap-Sert helps to reduce asbestos in water systems by encapsulating the cut end of the pipe and preventing the water pressure from removing asbestos particles and carrying them through the system. Finally, use of the Snap-Sert promotes safe handling and disposal of ACP. 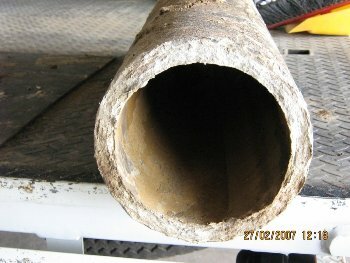 Reduces erosion of ACP at the cut end by encapsulating the end of the pipe so water flow and resulting turbulence cannot erode the end of the pipe and induce asbestos into the water system. Reduces asbestos in the water system by economical encapsulation. Helps municipalities conform to EPA guidelines regarding asbestos particles in water. ACP is listed as a major contributor of asbestos, which is known to cause cancer, in America’s drinking water. 2. 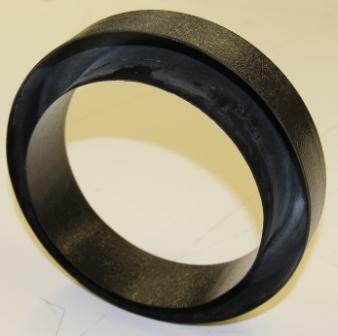 Apply lubricant and place the Snap – Sert onto the end of the cut pipe. 3. Press the Snap – Sert onto the pipe until fully seated. 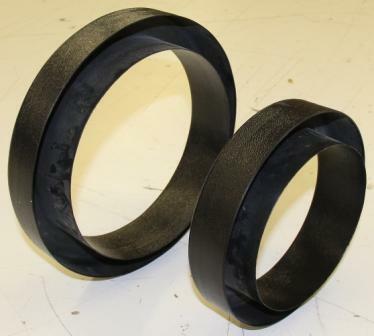 The Snap-Sert is manufactured in sizes from 4″ through 12″ for rough barrel applications in classes 150 and 200. 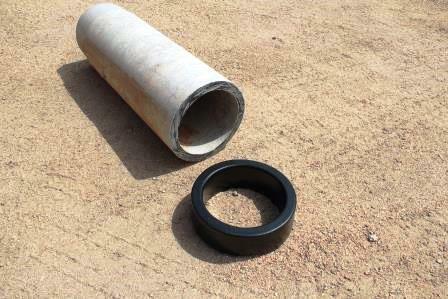 The Snap-Sert is designed to protect workers during the repair of asbestos cement pipe and the public from the erosion of asbestos fibers at the end of the pipe. 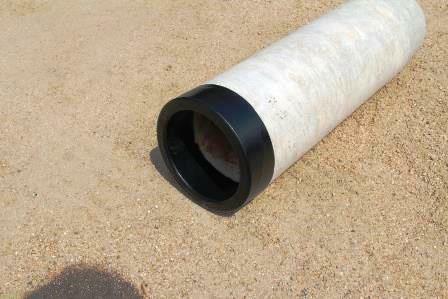 Encapsulating asbestos cement pipe will also ensure safe handling during the disposal process.